"GUNVALKYRIE is good old-fashioned arcade action with that 'B' grade movie goodness thrown in for some extra fun." 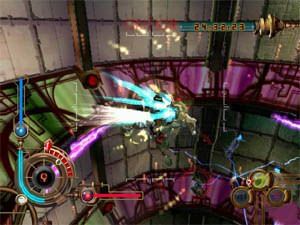 Gunvalkyrie is an arcade style action game that is set in an alternate universe. Since the first sighting of Halley's Comet in 1835, mankind has developed some extraordinary advancements in technology. Since then, the British Empire has grown powerful and has now colonized outer space. The year is 1906 and world famous scientist Dr. Hebble Gate who was responsible for the creation of the Gunvalkyrie organization and leader of the Hebble Foundation has gone missing. Speculation and conspiracy theories has risen from his disappearance. To make things worse, contact with Tir na Nog, a colonized planet of the British has been mysteriously terminated. The Imperial Space Force, the Hebble Foundation and Axis Europe have dispatched Gunvalkyrie teams in order to solve this deepening mystery. When you start playing Gunvalkyrie, you have the choice of playing two uniquely different characters. Saburouta Mishima, a futuristic samurai who's skills in battle is unmatched.Kelly is much more agile and quicker than Saburouta but his weapons can do more damage. The manual recommends that beginners play as Kelly to get a feel for the game and the controls. The game itself starts with a training mission where you are required to learn certain character traits and abilities in order to proceed. The game is similar to a 3D arcade plat-former because you must use a combination of "power" jumps, boosts and running in order to achieve certain goals. Each mission of Gunvalkyrie will give you an objective that you must achieve but during the mission you can find powerups and cash that lets you upgrade your weaponry after each mission. During the game, your characters will be able to access a wide variety of powerful weapons that will help you rip through enemy hoards. Combat in the game is very simple and you use the right trigger to fire your guns, while the B, X and Y buttons lets you change weapons. The beauty of Gunvalkyrie is that you can move in one direction, then fire in a completely different direction while you still move in the same direction. Movement in the game is done using the left thumbstick while the left trigger enables your boost jump that is extremely useful in reaching high places. 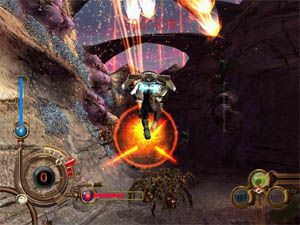 Apart from these basic movements, the game also supports some wild extreme moves such as the boost dash and hovering. 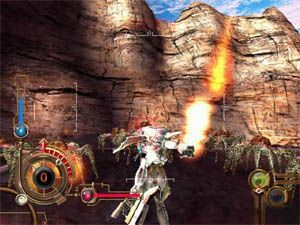 The graphics of Gunvalkyrie are impressive and you actually get the feel you are walking through uncharted territory on an alien planet. The game itself is a cross between a "B" grade & Manga movie and the graphics really pull this off. Level design is extremely detailed and there are huge playing environments. All characters have extremely high polygon counts and are animated well. Apart from the exceptional XBox graphics, the game keeps a constant high frame rate. The sound effects and music of Gunvalkyrie is nothing extraordinary but does does help in giving the game a certain atmosphere. 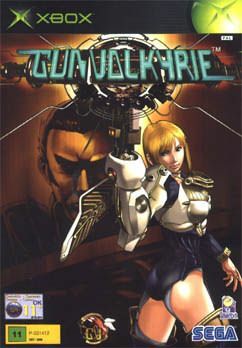 Gunvalkyrie is an extremely well made & additive game from SEGA and contains impressive graphics and storyline. It's a homage to those old arcade games of the past with the impressive power of the XBox behind it.